Controversy has been its constant companion since the “National Good Governance Tour” was launched last September by the Minister of Information, Labaran Maku. “A lot of work has been done by this administration in the past two years which has not been adequately reported in the media. 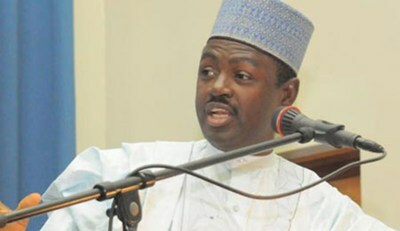 So, this tour will expose a lot of things for everyone to see,” Maku said. Nigerians from all walks of life, using conventional and non-conventional media platforms, would have the opportunity of asking questions and expressing their views on the projects the team would be inspecting. By “the government,” Maku probably meant the Federal Government, since his ministerial brief does not include reviewing or passing judgment on projects undertaken by the states. It now seems in retrospect that he had used that term in a much broader context, and had thus unwittingly set the scene for the controversy that has been dogging the NGGT. I will dwell on that and other issues presently. The NGGT train – or more appropriately, the NGGT executive jet, since Maku has never deigned to travel by the trains, the rehabilitation of which he has been trumpeting as a transcendental feat – has since touched down in almost a dozen state capitals, with a retinue of political officials and news reporters and information officers, in what has increasingly seemed like a touring circus. The team “inspects” some on-going and completed projects in and near the state capital, Maku lustfully sings praises of Federal Government for real achievements and mere intentions, usually the latter. He goes into a rhapsody about contracts that have been awarded, giant rice mills that will be installed, tens of thousands of jobs that will be generated by the cassava plantations, based on feasibility studies the government has recently commissioned, and of course the breathtaking transformation the country has witnessed in just two years, with much more to come. He says some kind words for the state governor, especially if the governor belongs to the ruling PDP or is not perceived by Abuja as unsympathetic to Jonathan’s Project 2015, and takes off in the executive jet for his next stop. How this perfunctory visitation, conducted amidst a great deal of dining and wining, leads to or enhances “good governance” or “carries the people along” or makes them participants in governance as envisaged in the NGTT’s prospectus is rarely addressed. Maku claims that the Nigerian Governors Forum – presumably before Jonah Jang, with blessings from on high, reconstructed that body, superfluity and all, in his own image, endorsed the scheme. Yet, Edo State, perhaps not unmindful of the way Maku has been running his road show and suspicious of the entire scheme, declined to accord him a welcome. Governor Adams Oshiomhole probably had more important things on his plate anyway than giving aid and comfort to a jamboree. Maku soldiered on, undaunted. The outcome was a fiasco. Abudah pooh-poohed Maku’s claim in Benin that the Federal Government had fixed the perennially dysfunctional Benin-Ore-Sagamu highway to the point that anyone so inclined can actually spread out a mat on it and enter into blissful sleep. It is almost as if what the people need is a veritable invitation to suicide rather than a first-class highway. The Okene-Lokoja-Abuja expressway Maku claimed the Federal Government had rehabilitated had witnessed only “skeletal works” along a small stretch, Abudah wrote. Charging Maku with “lying” and “advertising falsehood” as the spokesperson for the Edo State Government did is un-parliamentary, to be sure. But Maku himself is an improbable candidate for a prize in civil discourse, despite his exquisite tailoring and fine grooming. That much was evident in comments credited to him that he has to the best of my knowledge not disavowed on the pace of developments in Lagos State under the administration of Governor Babatunde Fashola (SAN) who, like his Edo State counterpart, had refused to have anything to do with the NGGT, insisting that the visitation would serve no useful purpose. This is the language of the colonial inspector from the metropole, and it does not square with any of the advertised objectives of the NGGT. It is downright condescending. But Maku’s spokesperson was merely warming up. He went on to say that Fashola was an idle governor with nothing on his plate except traffic management and environmental sanitation; the Federal Government was taking care of everything else, in its great benevolence. You have to be practically unconscious to believe such twaddle. Is the Lagos light rail a federal project? Or Eko Atlantic City? Or the scores of sparkling new model schools in Lagos? Or the network of roads and bridges that compare favourably with the best anywhere? Or a raft of housing schemes in various stages of completion? Or the ambulance units positioned in strategic sections of Lagos to respond swiftly to emergencies? Or dozens of other innovative projects that make Abuja look like an unimaginative plodder by comparison? The NGGT is only the latest derogation in a long line of derogations of the federal principle. It was conceived in double misapprehension, the first being that the PDP-controlled Federal Government, by virtue of that fact, has the power to supervise and second-guess and perhaps even discipline state governors, whether elected on its platform or other party platforms. That is a throwback to the dark days of military rule. Then, the military head of state related to military governors in the states like officers on military posting, which they indeed were. The practice must stop. To continue it is to subvert not just federalism, but democracy itself. The second misapprehension stems from the belief or assumption that inadequate reporting on what the government has been doing or intends to do for the people is the problem. That is the theory of national development by propaganda writ small for impact. If government programmes and projects have significant impact on the lives of the people, that impact will be their best advertisement. Propaganda, however skillful, cannot be a substitute for impact. But these are not the only things wrong with the NGGT. The Ministry of Information has at its behest one of the largest communication networks in the world. Its portfolio includes, to cite just a few of its organs, the Nigeria Television Authority, the Federal Radio Corporation of Nigeria and its external broadcasting arm Voice of Nigeria, and the News Agency of Nigeria. Maku therefore indicts himself and his office when he charges the media with failing to report adequately on what the government is doing for the people. Finally, the NGGT’s execution is flagrantly partisan – reeking of bad faith, I am almost prepared to assert, judging from its misadventures in Edo and Lagos. It is a costly distraction that raises more questions about the Minister of Information’s credibility the more he claims for Abuja landmark achievements that only he and his team can see, or appropriates unto it the solid achievements of state governors who decline to be co-opted into a circus. ← Jay-z And Billboard Ask: When Is A Hit Record Not A Hit Record? Are You to Blame for Your Employees’ Workplace Conflicts? Is Apple Sabotaging Your Ancient iPhone?